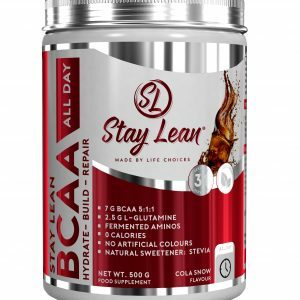 Branch Chain Amino Acids (BCAA’s) are the building blocks of protein. 20 amino acids are used by the human body to construct all our proteins. 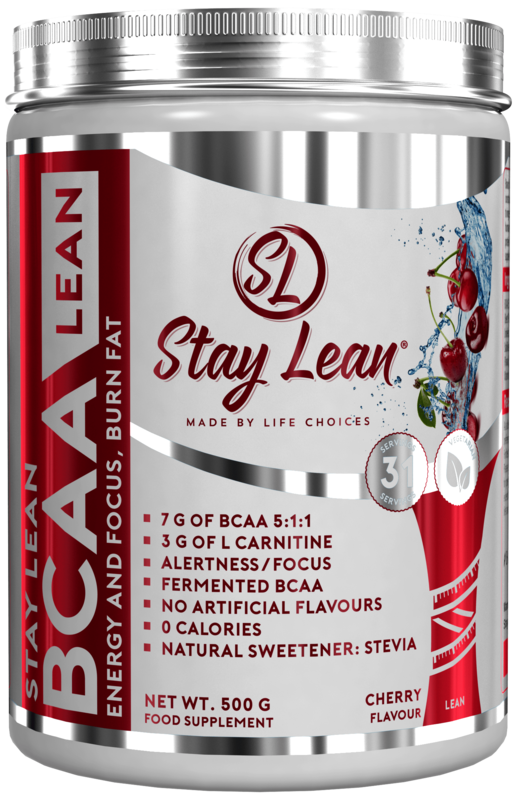 9 of these Amino Acids are called essential BCAA’s. StayLean® BCAA is a high-quality free form fermented supplement – suitable to take before, during and after training. 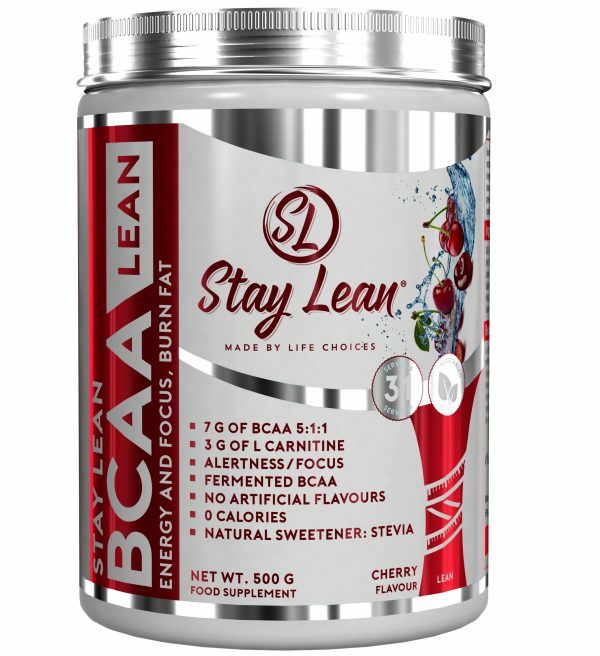 StayLean’s BCCA contains amino acids made only by a natural fermentation process. This means you get maximum purity without the use of any harsh chemical solvents. 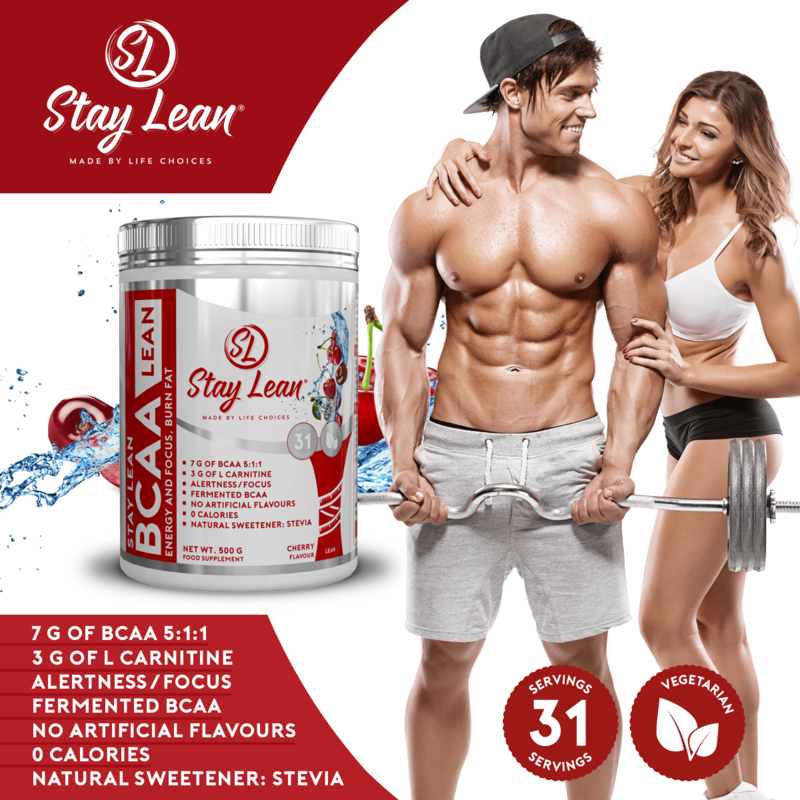 Stay Lean’s BCAA powder boasts leucine -7 gms of fermented pure branched chain amino acids providing high levels of leucine to stimulate protein synthesis – isoleucine and valine in an impressive 5:1:1 ratio, bringing you the strongest blend of fermented BCAAs on the market today. No artificial chemicals to flavour, only natural healthy ingredients: Turmeric and Beetroot powder. 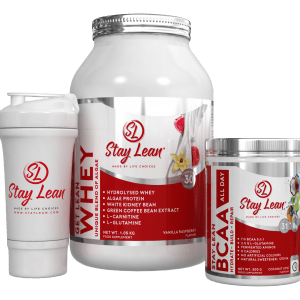 DO YOU KNOW THE SOURCE OF YOUR BCAA’S? It is estimated that 95% of brands use BCCAs sourced from animals – extracted from feathers, hair and skin and harsh chemicals are used in the process. 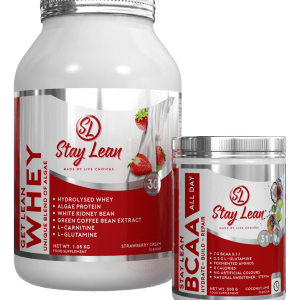 Ingredients: BCAA 5:1:1 (fermented) (L-Leucine, L-Isoleucine, L-Valine), Acetyl-L-Carnitine, L-Glutamine, N-Acetyl-L-Tyrosine, Colour (Beet Powder), L-Citrulline-D-Malate, Citrulline Nitrate, L-Taurine, NI Flavouring, Green Tea Extract, CLA (Conjugated Linoleic Acid), Green Coffee Bean Extract, Sweeteners (Sucralose, Steviol Glycosides (Stevia)), Stabilisers (Citric Acid, CarboxyMethyl Cellulose), Guarana Seed Extract, L-Theonine, Ginseng (Panax), Vitamin C (Ascorbic Acid), Tri-Calcium Phosphate, BioPerine®, Potassium Chloride, Vitamin B6 (Pyridoxine), Sea Salt, Vitamin B12 (Folate). 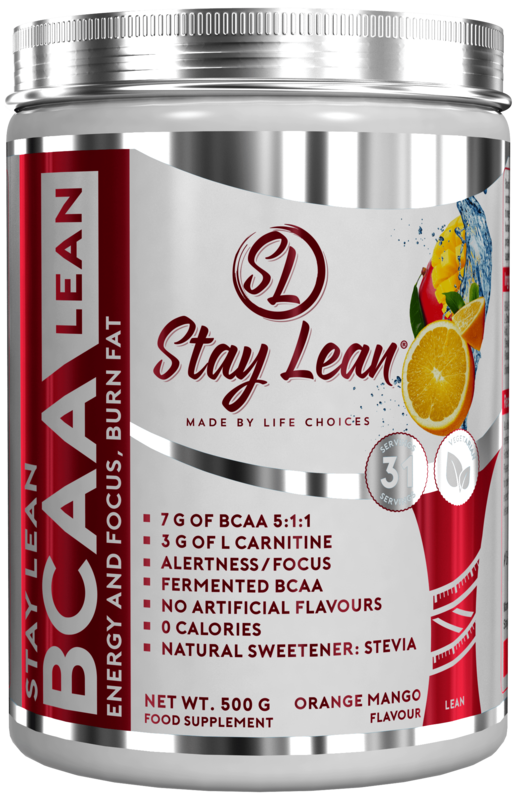 So I’m using the orange mango flavour not only does it taste great it is already burning fat and giving me energy to power through my work outs I have tried many but staylean BCAA is by far the best I have used buy some now! 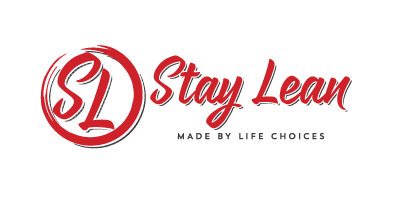 You will never use any other product like this.. 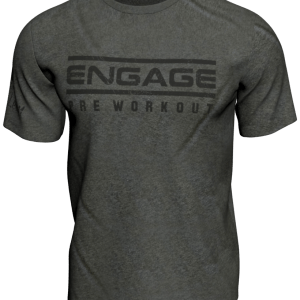 I love the orange/mango flavour, it is so refreshing during a workout. 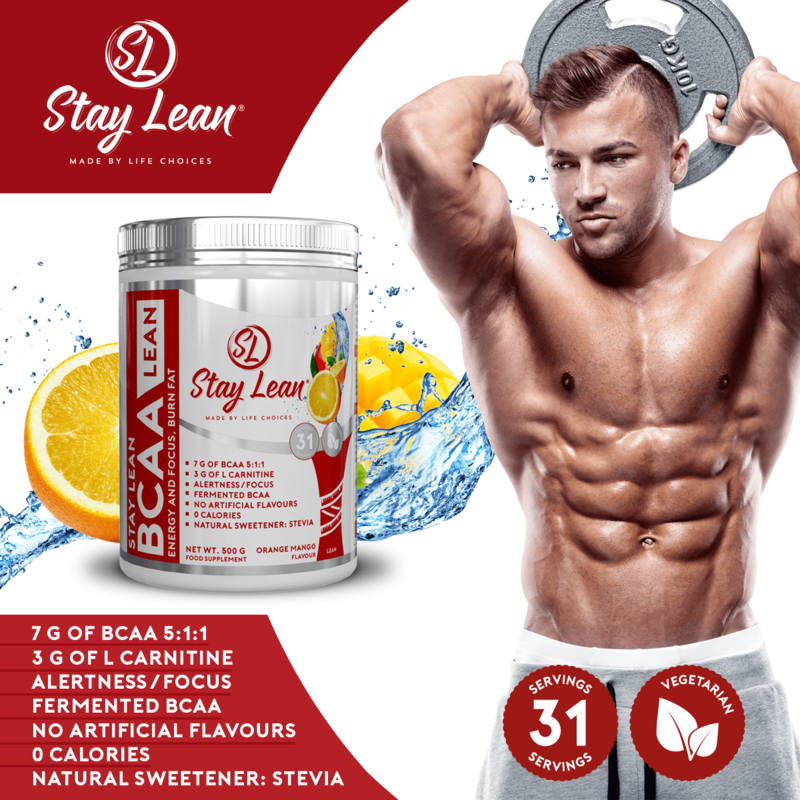 The Stay Lean products are full of so many great ingredients designed to really make the most of diet and training. 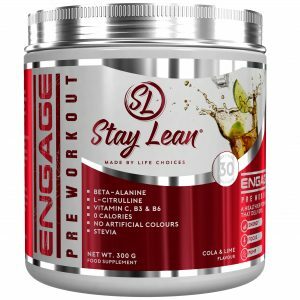 They also contain nothing nasty and artificial like so many other supplements.